During a Bible study on Matthew 5:17-20, we read about Jesus discussing the importance of the law and regulations that preceded him and how they related to his Gospel ministry. After we read the passage, the question was posed as to how one would explain this passage to someone with little to no background on Jesus, or the Law and prophets he talks about. The answer we found was unconventional, but effective: the Oreo. First, I am a lover and devotee of all things snacks. In all honesty, I would be totally content to entirely replace all large meals with unending and continuous snacking. Of course the problem is that doing so is a slippery slope, a diet with no boundaries or limitations and no cap as to when enough is enough. Because, although our stomachs can correctly inform us of our physical satisfaction, one glance at a bag containing what, in that particular moment, is all that is good in this world, “what’s just one more handful?” Oreos can be your best friend and worse enemy. 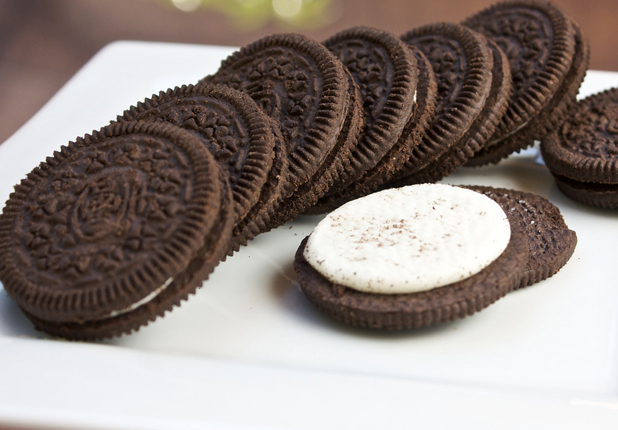 Oreos are unique cookies. The two chocolate cookies are separated, yet united, by a thin, or sometimes if you’re lucky, double-layered, cream filling. The Oreo is unity in contrast. The cookies, while delicious if eaten on their own, leave something to be desired apart from the filling. They are quite dry and the richness and crunchiness of the chocolate can be somewhat overwhelming. On the other hand, the filling in the middle, while sweet and easy on the palette, is simple and one dimensional without a contrasting texture or flavor. The only way to fully appreciate an Oreo, the Oreo that everyone knows and loves, is to eat the cookie in its entirety with both the cookies and filling contributing equally to the experience. What does any of this have to do with Matthew 5? In the Bible we see two contrasting sides. On one side we find the Old Testament, beginning with Genesis and ending in the prophet Malachi. On the other, we find the New Testament, beginning with the Gospel of Matthew and ending in Revelation. One’s approach to the Bible and how these two sides interact or contrast with one another can radically determine on’s approach to God and his son Jesus. Compare the Old Testament to the chocolate cookies. For some people, the experience of the Old Testament is less than positive. The Old Testament can be difficult to understand, difficult to relate to and difficult to find any use for in the present day. One might say that the “texture” of the Old Testament is too “crunchy” and the flavor is too rich and overwhelming in too large of quantities. If the Old Testament is the cookie layers, the New Testament is the cream filling. The New Testament is seen as a welcome departure from the Old Testament: the language seems easier to understand, the stories seem more heart-warming, and Jesus seems quite loving and gentle as opposed to the God of hell, fire and damnation of the Old Testament. The stories of Jesus often concern healing, grace and redemption. One might say that, like the Oreo Cookie filling, the New Testament is sweet and enjoyable and a welcome respite from the crunchy rich chocolate cookies. This brings us finally back to the scripture in Matthew. In the passage Jesus stressed the importance of the Old Testament scriptures and how necessary they are to fully understand his Gospel ministry. One can view his mission as a circle. Prior to Jesus, the circle was forming but not complete. Jesus did not come to create a new circle but to complete the circle already being made. Without a strong understanding of the prophets and the history preceding Jesus, nothing about his Gospel ministry in Israel makes sense or matters. In fact, it is because of the entire Old Testament that Jesus did the things he did and say the things he said. The more we read the Gospels, the more we realize that everything Jesus did was motivated by the desire to connect the listener to the past, where God spoke in the same words and acted in the same ways. His entire ministry was overflowing with a consciousness that he is the great “I am” from Exodus, completely unchanged. With cookies and no filling, or filling but no cookies, you don’t have an Oreo. Many of us spend 90 percent of Bible-reading time swimming in the New Testament. While I do this myself from time to time, we cannot disregard the Old Testament as disconnected from the New. The Old Testament is the foundation of the New, and the New is the revelation and completion of the Old. The Bible is two sides that cannot exist independent of each other. Jesus came to connect and reveal the two. To focus only on one is to misunderstand the teaching of Jesus himself and to misunderstand the relationship of God to us. In my Bible studies we spend a lot of time with people who are new to Jesus and the Bible. With this being the case, we often spend more time in the New Testament introducing people to the Gospel and Jesus. However, once these individuals witness Jesus’ Gospel ministry, we see them diving head first into the previously offensive and at one time overwhelming Old Testament, where they begin to see the pearls that the Spirit begins to reveal. While one side of the Bible might be more appealing to you, never neglect the other. It is in the marriage of the two that you see the truest picture of God and how he relates to us. Once someone asked me how I could say that, by reading the Bible, I can gain a better and more complete picture of who God is and what he is like. My response was that reading the Bible is like building a jigsaw puzzle. By reading the Old with the New Testament together, we are given the pieces to the puzzle. While we will never possess all of the pieces to the puzzle and the picture will always have missing sections for our faith ponder, the pieces provided by both the Old and New Testaments reveal enough to us to see God and understand him, as he desires us to.